Let them see the lights! The most comprehensive LED system for spas and hot tubs. 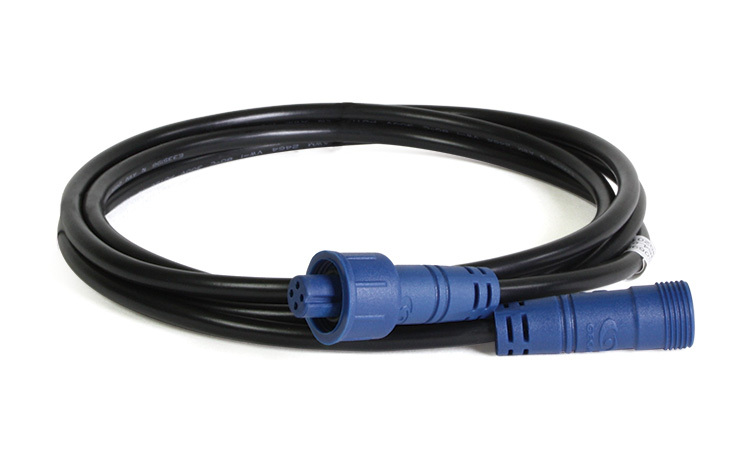 The cleverly designed sturdy and water resistant connectors (IPX5), spyder and cluster cables can easily be connected to loop cables. Loops eliminate the need to daisy chain cables, minimize voltage drops and guarantee optimal LED intensities. in.lu.me also features bigger wire gage cables and more LEDs in spas. Once connected to in.mix, in.lu.me gives to the spa users complete control on colors and effects from in.k1000 or in.k800 keypads or a smartphone running the in.touch 2 app. The combination of in.mix 300 and in.lu.me cables and LED lights is, without doubt, the most comprehensive lighting system for spas and hot tubs. Simply connect the loop cables to the in.mix 300 control box zone connectors. in.lu.me is easy to install, requires no adapters, offers total flexibility, more points of lights and an infinite selection of colors through multiple clean configurations.